Somango, the fruity hybrid, is closely related to "White Widow" and is the apple of the eye of the commercial growers because of its high yield and shorter maturing period. This popular fruity hybrid gives a strong creative buzz and thus it’s perfect if you want to let your creative juices flowing or want to take that philosopher out of you. A great stress reliever, Somango has a sweet lovely taste, somewhat similar to cotton candy. This indica-dominant hybrid grows with long side branches, which are because of its genetic background and grows taller than the indica plant. The fruity hybrid is closely related to "White Widow" and thus high yield from beautiful thick buds is guaranteed. It is a darling of commercial growers as the plant gets ready for harvest in just 8 weeks and gives a bumper yield. Being 100 percent feminized, it is extensively used for medicinal purposes too. While the plant is closely related to White Window, it is much superior to it and the ‘Sea of Green’ cultivation method ensures a bumper yield. It is an all-time favourite of the commercial growers as they can harvest huge quantities in a shorter period. If they cultivate it using Sea of Green method, the yield goes up to 400 to 500 grams per square meter, which is huge. The blooming period is short for this beautiful powerful lady and it grows with dark green leaves that are wide. The beautiful thick buds are sort of sticky and covered with trichomes. These thick buds, when covered with the Somango resin, are a sight to watch. This is because as Somango matures the leaves start taking an attractive shade of purple. The buds too get a covering of a fine layer of crystals, which makes it a promising sight. These plants are ideal for indoor cultivation and being an improved variety of the White strain the plants grow to medium heights. Being Indica dominant, the heavy narcotic feelings keeps lingering for long hours and gives a kickass high. This is a must-try strain for anyone and everyone who wants to experience the high. It has a nice smooth taste and the strong Indica pot instigates the philosopher in you who can then solve all the world problems. It is recommended only for indoors and greenhouse cultivation as the plants doesn’t really do well outdoors. 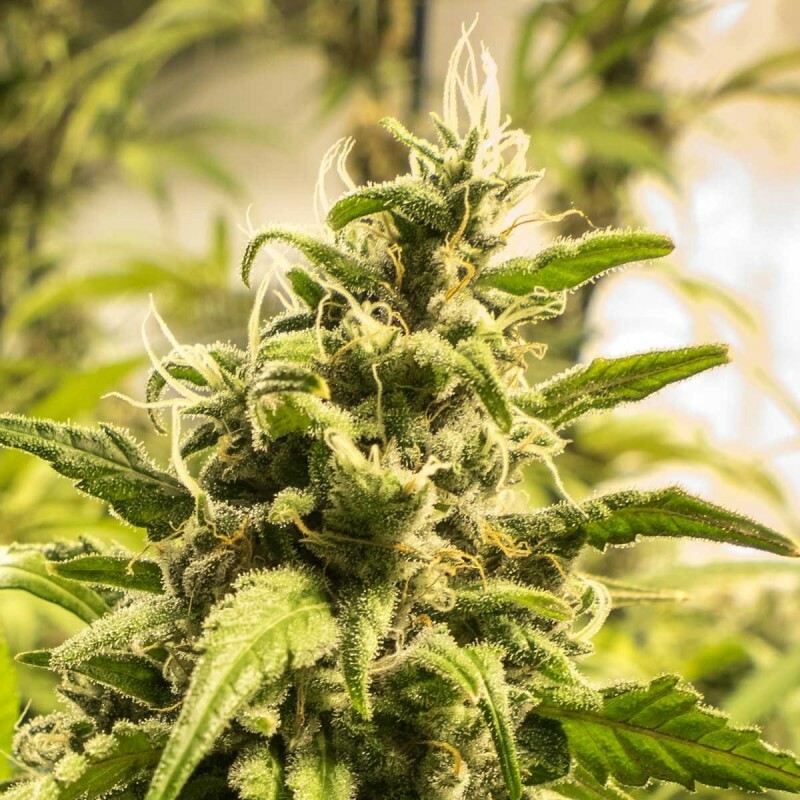 The THC content is around 17% and you need to wait for nearly 60 days to harvest the maximum yield. If you are the one who likes to get a good heady buzz or are really particular about the tastes and the aromas then this is the perfect strain for you. Go ahead and try it.